Cholam means Corn in Tamil language. 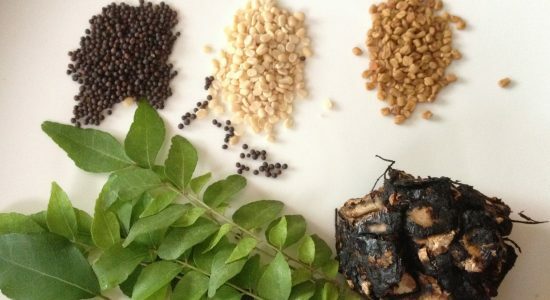 Before rice became a staple food in Tamilnadu, cultivated cholam/corn, kezhvaragu/finger millet, kambu/pearl millet and many more natural grains which are uncommon in cities and becoming less common in towns and villages these days were used in making kanji/porridge or cooked as main course meal. Even today, every area – be it rural or urban in Tamilnadu has one or many local grinding mills. 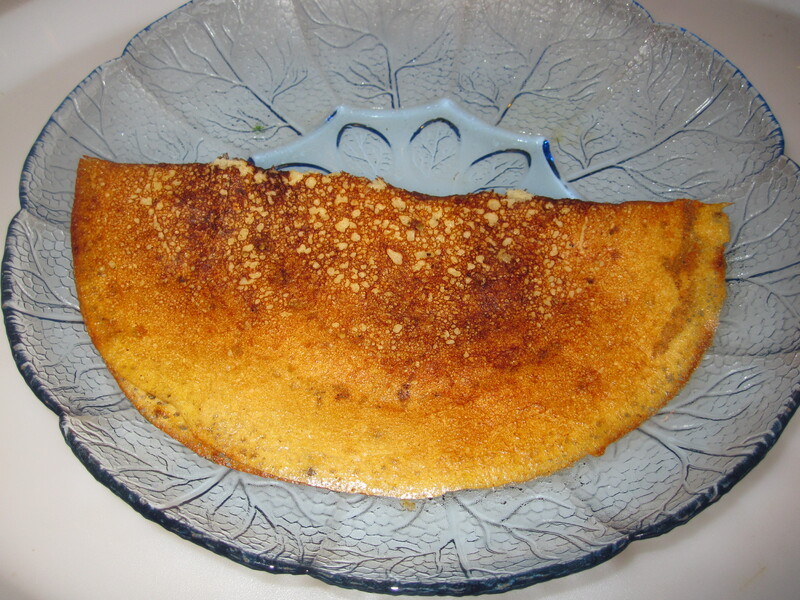 Ladies of the household use the local grinding mill to grind their gothumai/wheat, cholam/corn, kezhvaragu/finger millet, kambu/pearl millet and other whole grains to powder for usage in their day-to-day cooking – idli, dosai, upma and so on. Powders to make all staple and speciality gravies like sambar, rasam, puli kuzhambu, kuruma and many more have to be grounded in these mills. Hence, these local grinding mills are indispensable. 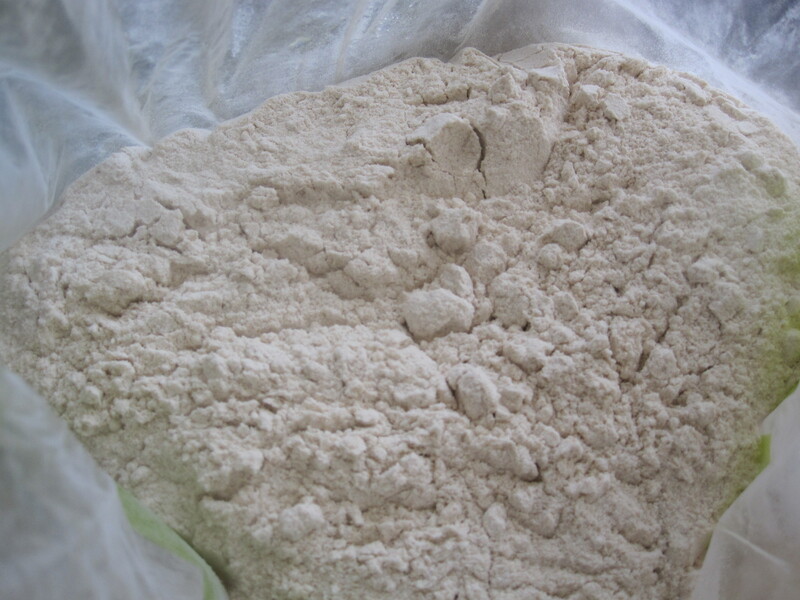 Nowadays, the whole grain powders are available ready-made in super markets. Whole grains have some valuable antioxidants not found in fruits and vegetables, as well as B vitamins, vitamin E, magnesium, iron and fiber. The medical evidence is clear that whole grains reduce risks of heart disease, stroke, cancer, diabetes and obesity. Few foods can offer such diverse benefits. 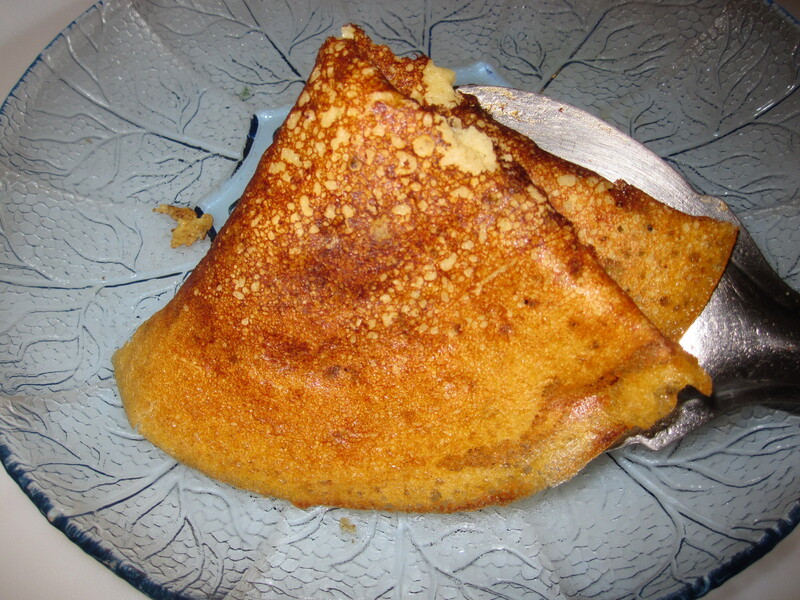 That is why I thought I could share one of the easiest dosai batters, though needs little practice while making dosais/pancakes – Chola Dosai. Makka Cholam/Sweet Corn is more common in most of the tourist/picnic spots… in beaches and hill stations – grilled corn, flavoured with juice of lemon, salt and chilly powder makes a spicy-tangy comfort food. 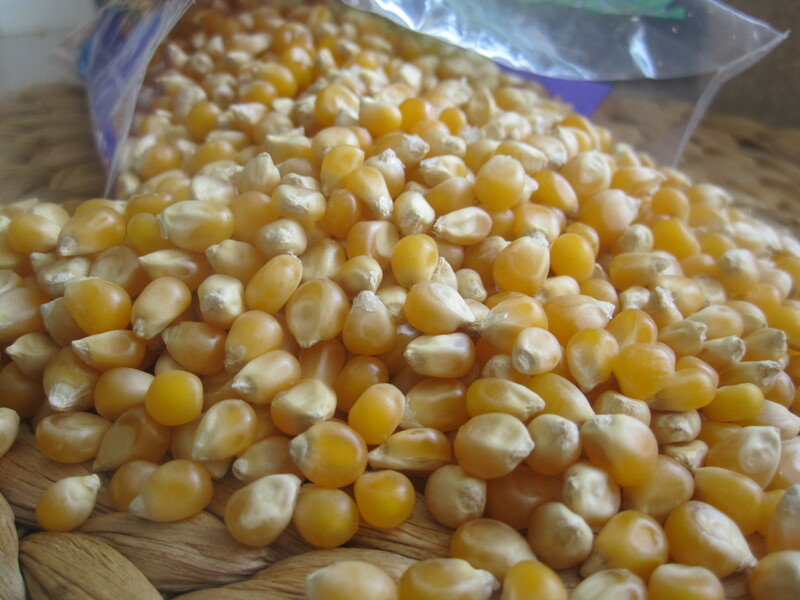 Dried corn is milled into a powder to make different breakfast and dinner main courses in Tamilnadu…. especially in rural Tamilnadu. I think it is slowly becoming a restricted affair in the cities to make idlis or dosais from different kinds of grains. Lack of time due to fast paced life! Archaeological studies indicate that corn was first cultivated by the primitive people of Mesoamerica at least 5600 years ago. While coming from Chennai, I had brought chola maavu or the corn powder milled from the nearest grinding mill. After that was done, I get the packed yellow corn flour from the indian store. 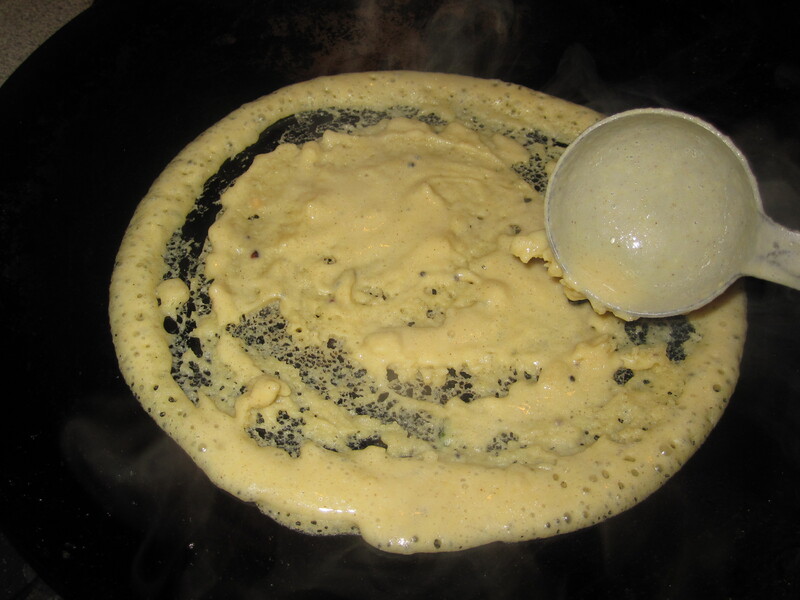 Mix chola maavu, salt and water into a lumpless loose batter. 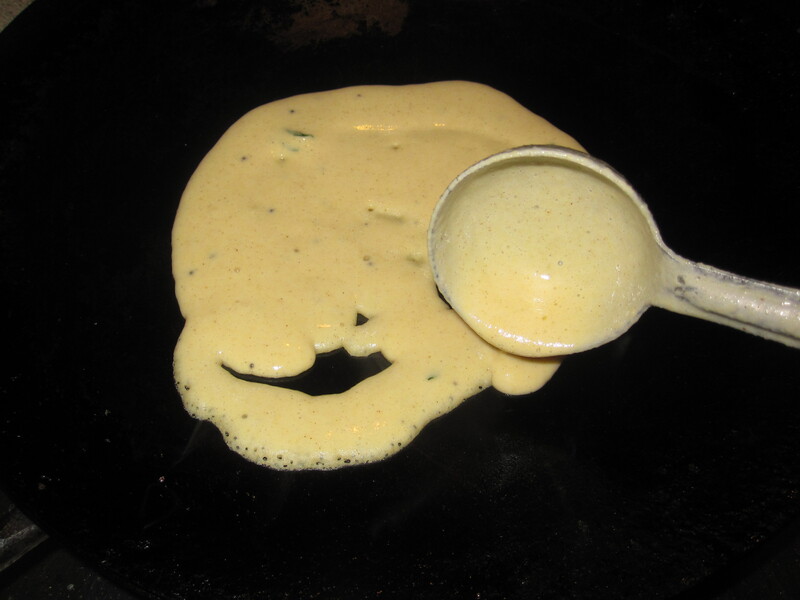 Serve hot with preferred chutney. see https://dosaikal.com/category/chutneys/. 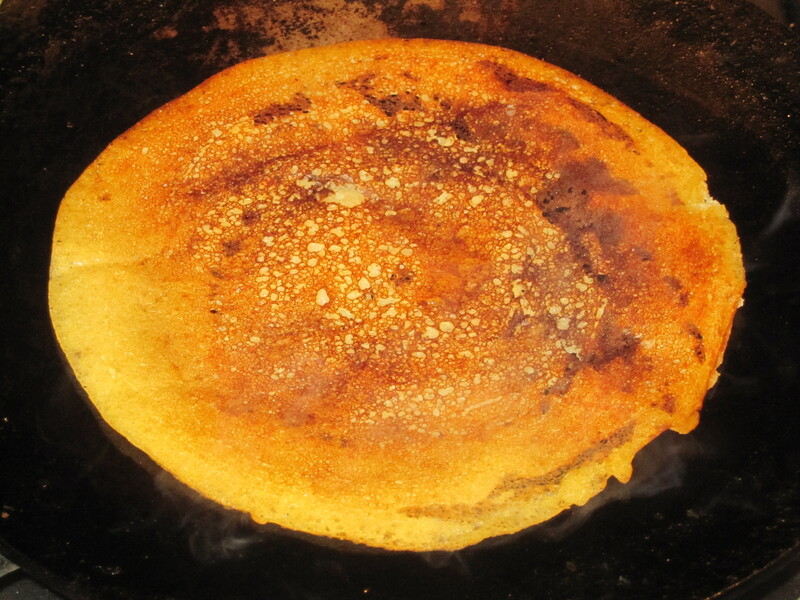 This batter would stick to the dosaikal/pan immediately – hence cannot be made like the normal dosai – in circular motion from inside to outside. 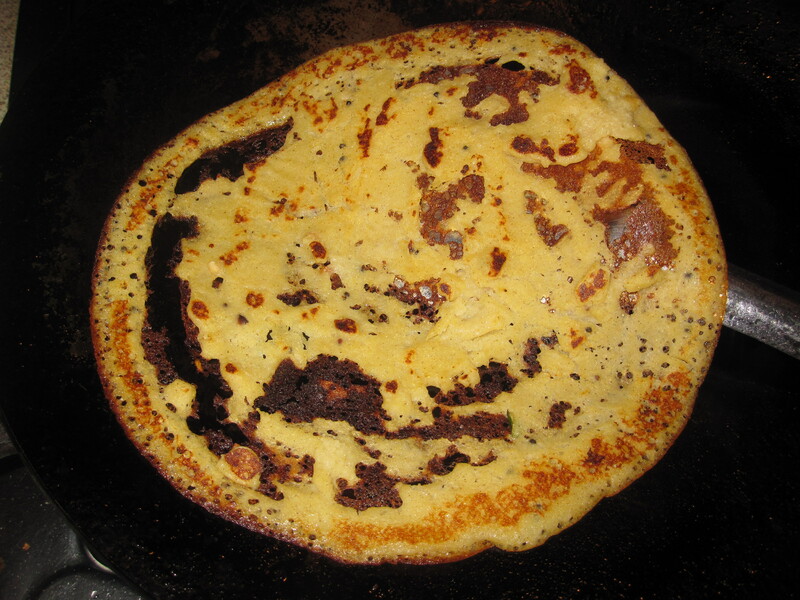 Pouring in patches from outside to inside or vice versa and then spreading helps to avoid broken dosais. Takes a little practice to be successful. Good Luck! ungal karuthukku nanri. enakku therindha varai, nammudaiya panpaattu unavugalai pathivu seyya kattaayam muyarchi seikiren.